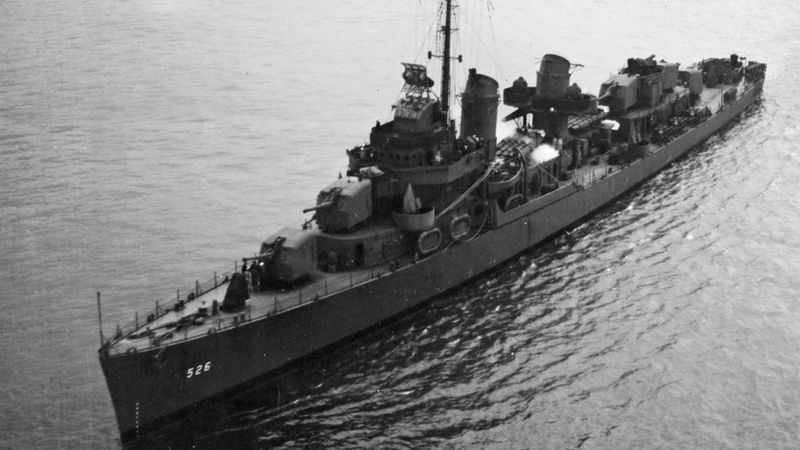 Daryl Weathers remembers trying to pull men from the sea off Alaska’s Aleutian Islands after a US Navy destroyer hit a mine left by the Japanese following the only World War II battle fought on North American soil. The remaining 250 crew members made the ship watertight, and it limped back to the West Coast for repairs. Only one body among the 71 men killed was recovered. Nearly 75 years later, scientists using multi-beam sonar have discovered the 23-metre stern about 88 metres below the Bering Sea.